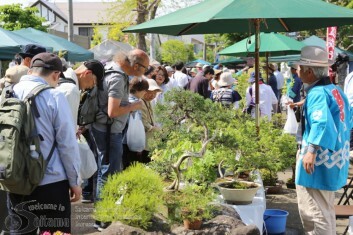 This festival hosts bonsai exhibits and bonsai pot sales exhibitions, etc. Thank you everyone for visiting the 8th World Bonsai Convention in Saitama! We will post “Saitama Declaration” which was read on the last day of the event. The first World Bonsai Convention was held in Saitama City (former Omiya City) by the Nippon Bonsai Association in 1989. During the convention, the World Bonsai Friendship Federation was established and the World Bonsai Convention was decided to be held every four years in different cities around the world. As the World Bonsai Convention traveled through different host cities, bonsai became widely appreciated as a living art and its basic philosophy, “love for bonsai leads to world peace” also spread. 28 years since the first convention, wonderful bonsai have emerged around the world using local plant species. Now that bonsai has become a world-wide culture and in order to continue the development for the years to come, we must make efforts to pass down this development to the next generation. This will be achieved by raising successors who will inherit bonsai. 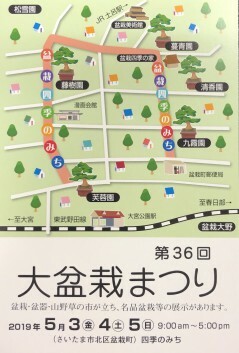 As the global center of bonsai, Saitama City will continue to promote　the development of bonsai culture through the “Omiya Bonsai Village” and　”Omiya Bonsai Art Museum” along with “Omiya Bonsai” and work with　Nippon Bonsai Association and related organizations to establish “Saitama International Bonsai Academy” to educate future successors. By incorporating bonsai as a part of education in elementary schools of Saitama City, we will create opportunities for children to experience bonsai as a familiar culture and for them to deepen their understanding of bonsai. Here we announce the Saitama Declaration. Bonsai is an art that increases its value as it is inherited over generations. In order for us to continue to pass down bonsai for many years to come, we will strongly promote the beauty of bonsai and make efforts in educating successors. Bonsai has been inherited for hundreds of years in Japan. We will share this experience to support the future development of bonsai cultures in other countries. We have taken the basic philosophy of the first World Bonsai Convention held in 1989, “love for bonsai leads to world peace” to further deepen friendship and goodwill among bonsai enthusiasts around the world, and will continue to connect people, trees, and peace to contribute to its realization towards the next 100 years. OMIYA BONSAI Store has started! 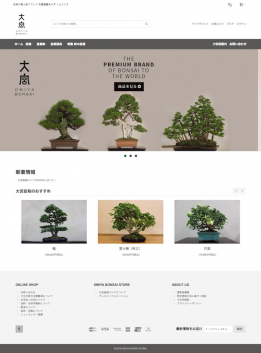 “The 8th WORLD BONSAI CONVENTION, SAITAMA CITY” The outline has been released. The outline of “The 8th WORLD BONSAI CONVENTION, SAITAMA CITY” was determined and just released. The Saitama Super Arena has been added to the main venues of the event. At the arena, approximately 300 bonsai and suiseki stones will be exhibited, over 100 bonsai stores and bonsai goods shops will be opened, and spacial stages and exhibitions will be held there. The opening ceremony is to be held at the Omiya Sonic City. 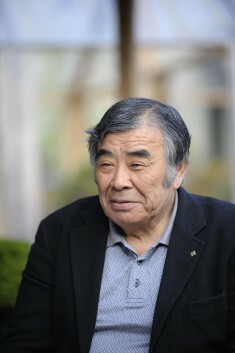 After the ceremony, the demonstration by Masahiko Kimura will be shown. The demonstration for registrants are to be held at the display halls of TOIRO, the multiuse facility next to the Saitama Super Arena. JACK OMIYA Bld.3F, 682-2 Nishiki-cho Omiya-ku, Saitama City, Saitama Japan.